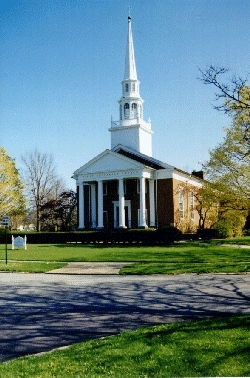 UU Congregation of Cleveland has two church buildings. We are committed to being an accessible community. To Read more about the accessibility of our locations and programs click here. Most people enter the building via the back entrances, which face the parking lot. The West entrance has a ramp for wheelchair users and others with mobility issues. Our location in Shaker Heights is where we hold our weekly worship service. 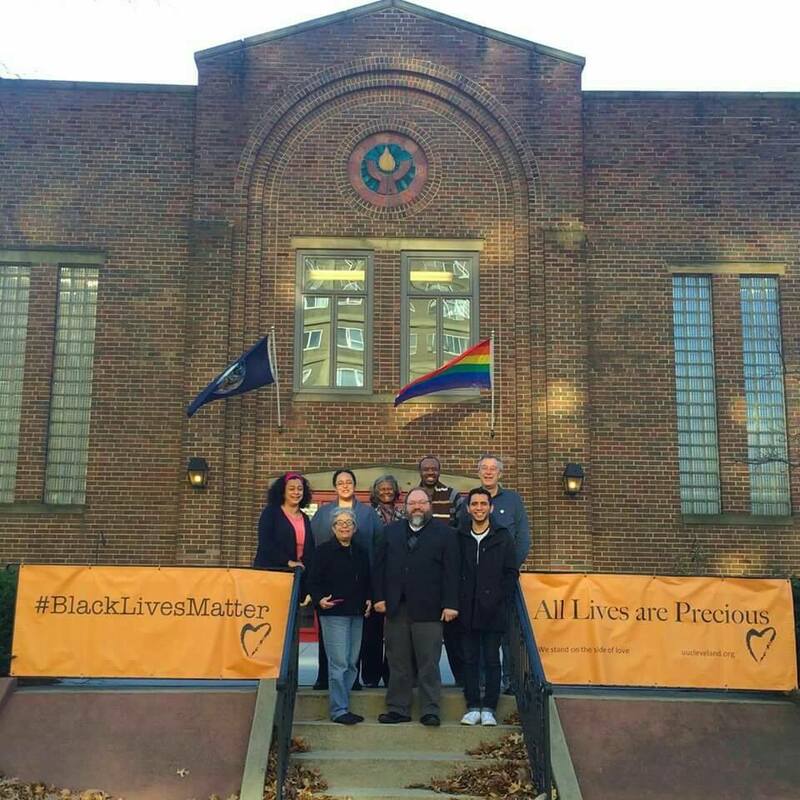 This is also the site of our administrative offices, Board of Trustees meetings, committee and team meetings, Youth and Adult Religious Education classes, and a wide variety of social gatherings. The building is a split-level style popular in the 1950s. The elevator has access points in the Sanctuary, Fellowship Hall, and in the first- and second-floor hallways. The Cleveland Heights location is fully accessible and equipped with a stair lift that transports individuals from the ground floor to our sanctuary on the second floor. This location is home to a number of recovery group meetings, as well as occasional social activities.